Dental plaque can convert into tartar which can be quite difficult to get rid of even after brushing and flossing twice a day. However, a professional dental cleaning can not only help remove the rigid tartar but even enhances your oral health. A healthy mouth can certainly give your general health a boost. Therefore, it is necessary to follow a good oral routine. Today, we will learn the importance of professional dental cleaning and how it can be advantageous for our dental hygiene. The following points are some of its benefits. 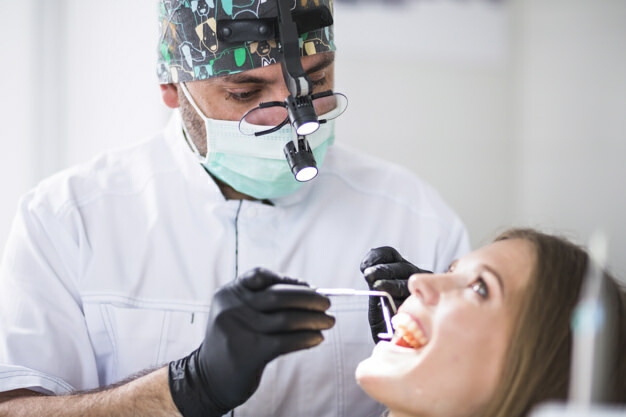 We have already mentioned at the beginning of this write-up that dental cleaning can remove plaque which plays a major role in triggering gum disease. It is a thin film of bacteria and can multiply to form several layers if not removed on time. Plaque gets accumulated near your gum area and eventually gives rise to periodontal disease. The initial signs of the condition could be red, tender or swollen gums. Getting your teeth professionally cleaned can help prevent severe dental diseases like gum disease and advanced periodontitis. Professional teeth cleaning not only has dental benefits but, it can also prevent other health issues. For example, gum disease could have a link with cardiovascular disease and it can also lead to strokes. But, a healthy mouth will hinder such diseases from affecting your body. A discolored or stained set of teeth is an indication of poor dental hygiene. But, having your teeth professionally cleaned can help alter the state of your teeth and make your smile look brighter. Sometimes we don’t understand if an oral disease is about to emerge until and unless there are any alarming signs. The dentist might be able to detect the emergence of a dental disease while cleaning your teeth which can help you prevent major conditions and take the necessary measures right from the beginning. Apart from getting your mouth professionally cleaned, you must also follow certain measures to improve your oral health. Eating right and giving up on habits such as smoking and drinking can be extremely beneficial. Your oral health is our utmost priority, therefore, we provide services that are effective, affordable and class apart. Give us a call at (832) 648-1756 to book your appointments today.